You are here : Resume Writing Service » Blog » Lacking degree for the desired position? Not a problem! Lacking degree for the desired position? Not a problem! Posted By Roger Hogan On December 22nd 2010. Under Blog . You can seem to be an ideal candidate for a certain position. 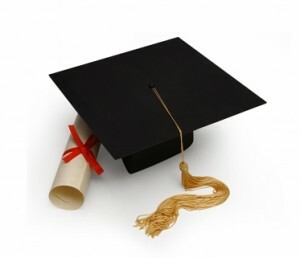 But your professional or academic background may sometimes not match all the requirements. But you shouldn’t fall into despair because you still can overcome this trouble proving that you are a perfect candidate for the position. Today to get a position you should at least have a bachelor’s degree. But this is not that critical. You may have had some specialized training in your industry. This can be equated with a Bachelor’s degree. List the names of all the courses you’ve attended and the days of completion. Besides, you can tell about some of the coursework you wrote in the college if they were related to your career goals. And the last point here is your life experience. If you’ve had your own business, show that! This can hardly prevent you from getting the desired position. The HR managers will rather consider a candidate who has real experience, rather than some theoretical academic degree. If your work history is stable and developing that will surely play in your favor! Your employer will see that you have enough professional skills even without a Master’s degree. Provide some kind of Career Accomplishments that will show how skilled you are. In some companies PhD will be a necessary requirement. However, if you now getting your degree and will get it in about a year, you may be able to convince your employer that you are fitting for this position. If you meet all the other requirements, the HR managers will be quite flexible as for your PhD! Before thinking that you’ll never go through this requirement, research which exactly training is required. You may find out that your experience and academic background may match the requirements. Be certain to mention this in your cover letter. Explain your employer how your experience and academics will compensate the lack of specialized training. If it is not possible, sign up for the required curse and include this information is your resume. As you see, lacking academic degree can hardly prevent you from getting a position. Be persuasive and show that you know your business perfectly well. « Resume writing software: to use or not to use?